You may have noticed that I mention BALANCE pretty much in every post. 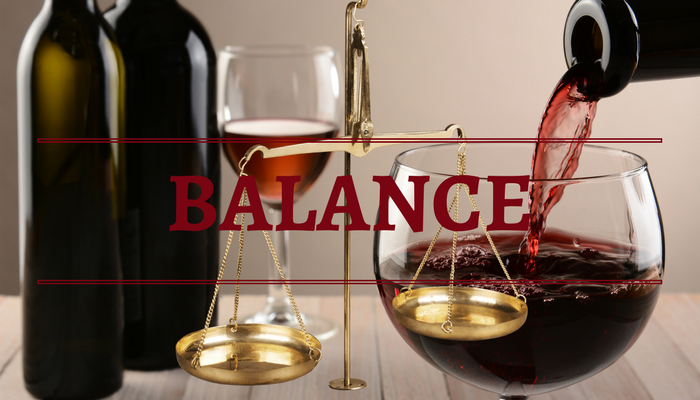 That’s because balance is one of (if not THE) most important aspects of wine evaluation. If you think back to our discussion on bad wine, you’ll understand the struggle of trying to quantify and assess a product that is so subjective. I mean, you can’t control someone’s opinion on something. No matter how much I love a crisp, acidic, minerally Albariño, I’m never going to convert my spicy, bold, jammy Zinfandel loving friend. Not a fault of the wines. Not a fault of either of our tastes. It’s simply opinion.